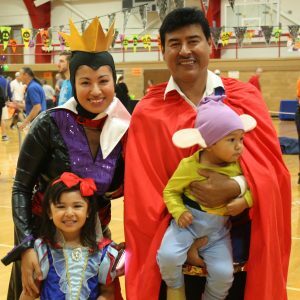 ​ Families with children ages 1-12 are invited to Palatine Park District​’s annual Halloween Party​ on Saturday, October 28 from 9:30 to 12:00pm at Community Center, 250 E. Wood Street, in Palatine. The costumed event includes carnival games and prizes, creative crafts rooms, a jack-o-lantern gym, ghoulish goodies, and more. Entertainment will feature a puppet show provided by the Palatine Public Library​, and Jim Nesci’s popular Cold Blooded Creatures​ show at 10:00am to exhibit a variety of reptiles. Registration is $7.00 per child. Adults are required to register for the event as well for $1.00 each. An adult must remain with and supervise all children throughout the party. Registration can be completed in advance at Birchwood Recreation Center​, Community Center​, or Falcon Park Recreation Center​, or online at palatineparks.org​ using code 440090-01​ for children and 440090-02​ for adults. This year’s Halloween Party is supported by the following gold level sponsors: ABC Plumbing, Heating, Cooling & Electric​, AMITA Health​, Coldwell Banker–Stick with Steve Team​, Costco Wholesale–Schaumburg​, My Flavor It Place–Palatine​, Orthodontic Experts​, Palatine Bank & Trust​, Palatine Public Library District​, and Re/Max United–Kelley Papadopoulos​. For more information about Halloween Party, contact Lisa Schroeder at 847.496.6347 or lschroeder@palatineparks.org.